Roofing one of only seven domes of it's type in the US required a revisit to the school of geometry. 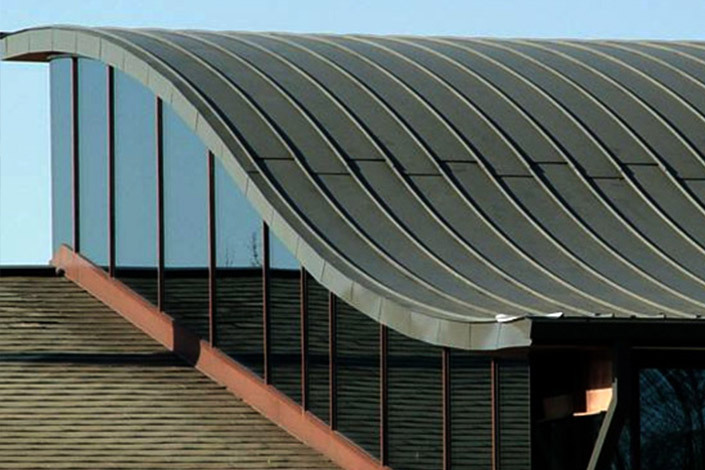 Radius standing seam panels provide a simple and contemporary look. 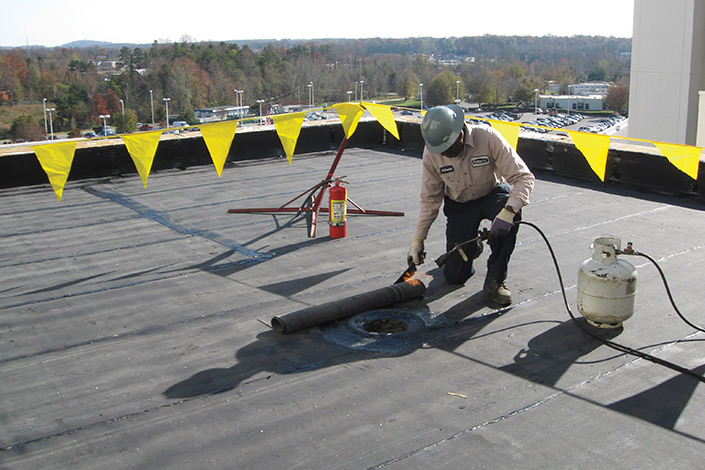 Major reroofing projects, commercial and industrial typically consist of either replacement or retrofit replacement. The practice of removing an existing roof system down to the roof deck and replacing it with a new roofing installation. 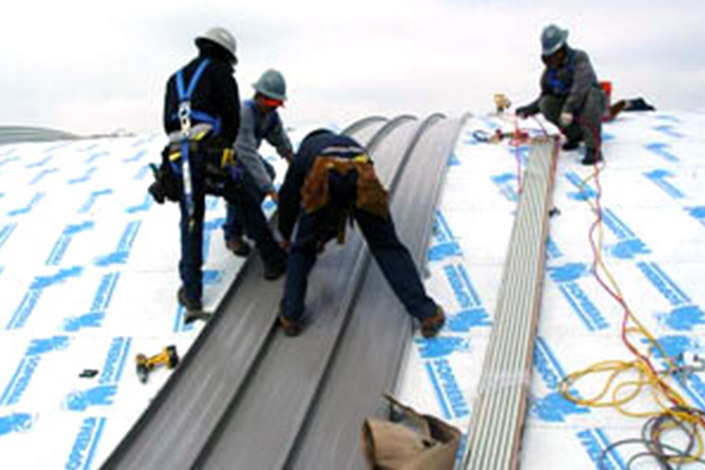 The addition of a new roof membrane or steep-slope roof covering over a major portion of an existing roof assembly. The process doesn’t involve removal of the existing roofing. 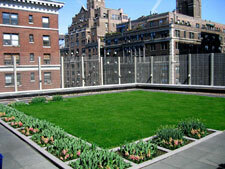 Partially or completely covered with vegetation and soil planted over a waterproofing membrane. Radco services include maintenance contracts; surveys, reports, analysis, and historical records; repairs; contract services consisting of replacement, retrofit, and new construction; consulting and design; and cost and budgeting analysis. We have experience in the application and maintenance of many roof systems including both rubber and thermal plastic single ply, built up, modified bitumen, metal, shingle, slate, tile, and liquid applied. 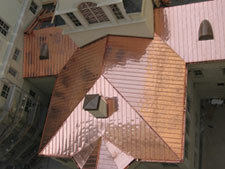 Radco has a metal fabrication shop able to provide metal components for any roof installation. 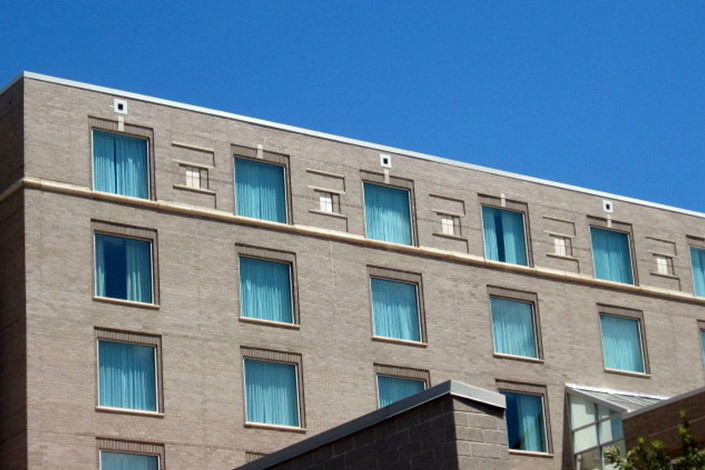 Radco maintains a watertight roof system and designed to increase the roof system’s overall longevity. A vast array of services designed to optimize roof performance so it will to always be in top shape. 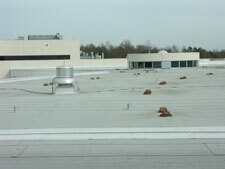 Radco Roofing can assist you in all your commercial roofing and exterior maintenance needs. 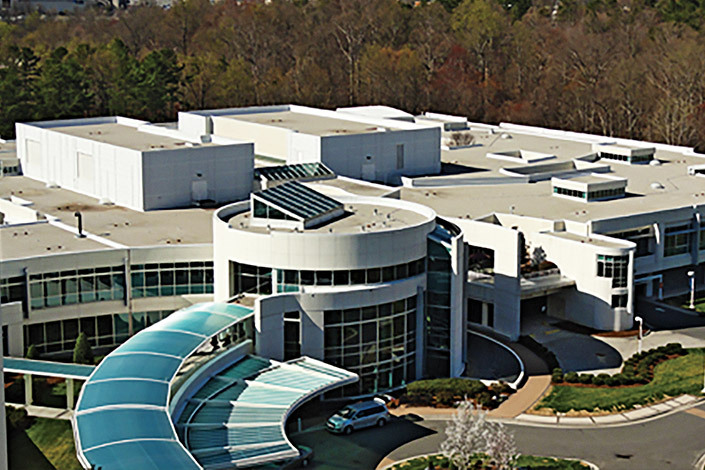 Radco is available for complete commercial roofing contract services for new or replacement installations. 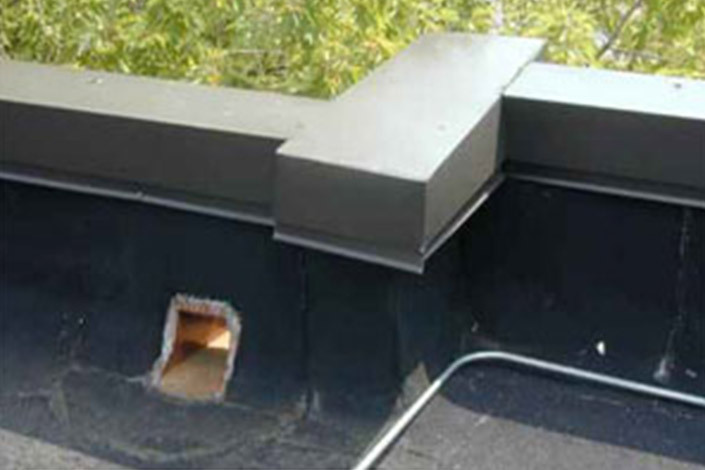 Radco provides on site roof inspections designed to document the condition of your roof system. Radco assists you in making economic decisions related to the maintenance of your building roofs. Our Roofing Maintenance Program offers a full summary of all roof related events at each of facilities. Radco is committed to help identify how to extend the life of each commercial and industrial roof to its maximum while keeping it reliable and watertight. It will always be our intention to act and serve in the building manager’s best interest. 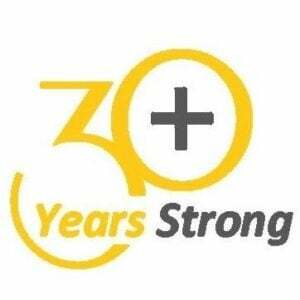 Radco roofing company is a member of the National Roofing Contractors’ Association (NRCA) as well as the Carolinas Roofing and Sheet Metal Contractors’ Association (CRSMCA) and the National Roofing Partners. Are you looking for a quality driven commercial roofing company experienced in commercial and industrial roofing for your next project? Make an appointment for Radco to come out and inspect your commercial roof today for peace of mind for those inevitable rainy days to come. 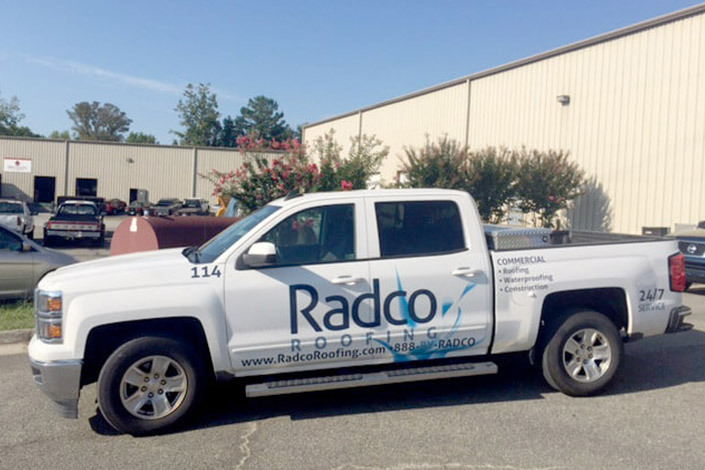 Radco Roofing has provided services to many prestigious corporations in both North Carolina and South Carolina that can testify to our client service orientation, timely service, quality workmanship, professional application, well trained staff, excellent safety record, and cost effective products. Trustee. Fedex Ground in Concord, NC. You have continued to give us a service level that we appreciate. Your team has made my work and life easier. Thank you. You guys are a wonderful company, Always providing great customer service.